Valencia can be a city of clichés: the light, the moon, the gun-powder, the paella, the flowers, the fallas... they are keys which attempt to explain what words cannot tell. 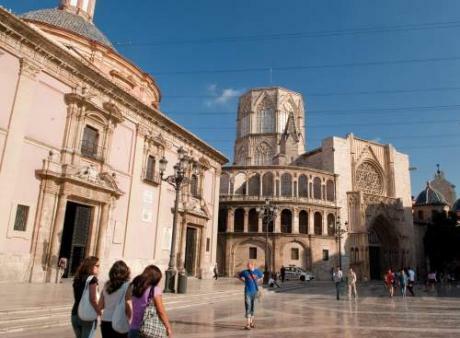 It is necessary to visit and get to know Valencia to verify that centenary traditions live together with modernity; that sea and city are compatible; that the green colour of farms can be kept together with a modern urban scheme; that Valencia is unique at night and during the day. But the capital of the river Turia is more than that. In addition to the innumerable attractions which the city has had for years, now there is a series of showy infrastructures such as the Ciudad de las Artes y las Ciencias (City of Arts and Sciences) which, as they are located in this environment, are linked to culture. Valencia has put the icing on the cake, although it will not have a rest and will go on decorating its succulent presentation without missing the major events or a trip to the African savannah in the Bioparc. The AP-7 (E-15) is part of the European motorway network. The A-7 (E-15) road links Valencia to provinces further north and south along the Mediterranean coastline, and also provides access to the A-23 (E-7) close to Sagunto, which leads to Huesca and the Pyrenees. The N-332 is the traditional road that links the towns along the coast in the direction of Alicante. The A-3 (E-901) links the city of Valencia to Madrid and the centre of the Iberian Peninsula. The A-3 (E-901) also links the city to Manises Airport, where there are regular domestic and international flights. The city can also be reached by rail (from Madrid, Alicante, Zaragoza and Barcelona) AVE from Madrid and ferry from the Balearic Islands.